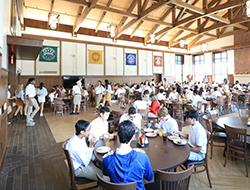 Students are enjoying the new and renovated spaces made possible by the generous support of donors through the Our Common Bond campaign. From the moment students are welcomed into the new Upper School entrance they are greeted by inviting spaces, and it has been exciting to watch them use and enjoy the new facilities. View photos and a video from the dedication ceremony held on Aug. 27, and learn more about the campaign. Parents of Alumni: You're Invited! USM welcomes parents of alumni at all events, from athletic events and school musicals to Holiday Shops, regional alumni events, and even reunion weekend. You are also invited to take part in all upcoming USM Homecoming activities and are invited to gather near Willie’s Corner at 7 p.m. on Friday, Sept. 28 for the football game. Currently, the USM Parents of Alumni Committee is working with the USM Parents' Association to fill a few volunteer needs for Holiday Shops. Please consider signing up for a slot if you have an hour or two to spare. 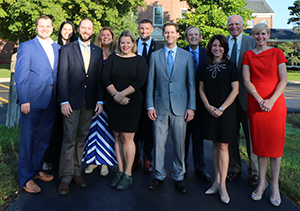 If are interested in joining the Parent of Alumni Committee, contact Vanessa Nerbun, director of annual and alumni programs at vnerbun@usmk12.org. Athletic Wall of Fame Unveiling, 4-4:30 p.m.
All-school BBQ, 5-7 p.m. Purchase BBQ tickets here, which include game entry. Varsity football game vs. Brookfield Academy starts at 7 p.m.
Blue and Gold 3k Fun Run/Walk, starting at 9 a.m. Thank you to everyone who supported the USM Fund during the 2017-18 school year. The USM Fund is a vital source of support for our school's annual operating budget and supports all aspects of USM life. Support of the USM Fund demonstrates the loyalty, commitment, and generous spirit of our USM community. Alumni, parents of alumni, grandparents, parents of students, faculty, staff, and other members of the USM community helped USM raise $1.3 million in annual operating support last year. Click here to learn more about supporting USM in 2018-19. We thank you for helping provide our students with the experience for a lifetime. 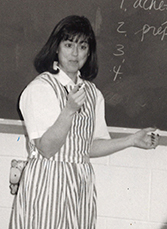 After an incredible 41 years at USM, Pamela Nosbusch is retiring at the end of this school year. As part of our celebration, we are collecting memories of her from anyone who has one to share! Did you have her as a teacher, did she teach your children, or did you work with her as an administrator? Let us know! Click here to share your memory or your wishes for Pam as she embarks on a new journey. Allison Stephens '81 was the 2018-19 recipient of the Ammerman Distinguished Teaching Award for Religious & Interdisciplinary Studies from Mercersburg Academy.